You've been looking for a wireless option to stream content, but you want more than CD quality sound. The Outlaw Audio BTR-200D offers the 24 bit resolution you are after and sports both analog outputs as well as a digital optical output. 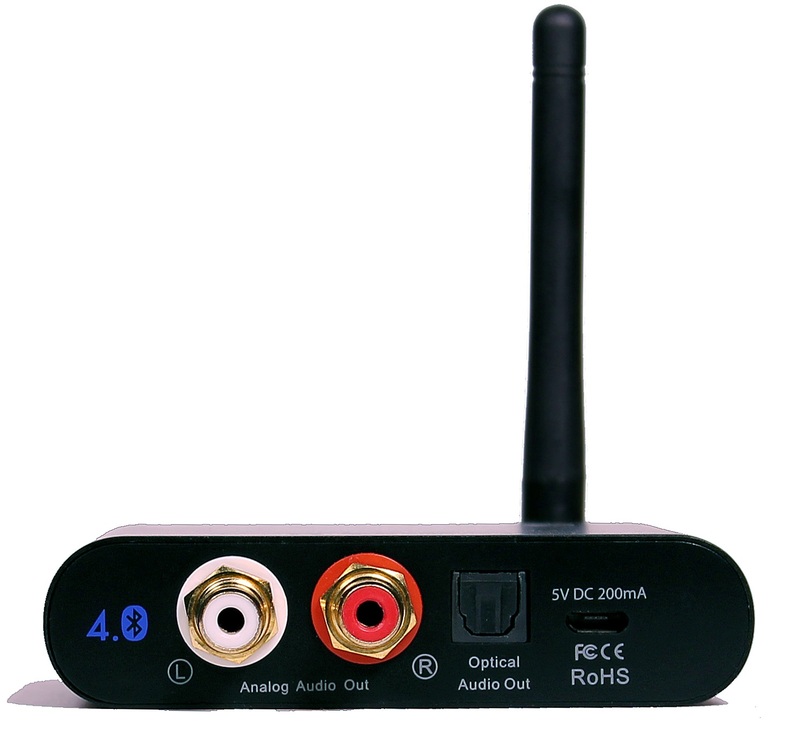 If you have audio/visual media and you need the audio sent to your main theater or stereo system, the BTR-200D utilizes aptX Low Latency so that your audio stays in sync with your video. Having hi-resolution capabilities, plenty of range, and enough output voltage to drive all your equipment makes the BTR-200 a perfect pairing for the music buff who requires convenience. aptX audio coding delivers CD-quality wirelessly over Bluetooth, enabling users to eliminate wires without compromising on audio quality. With the aptX audio codec, source material is transparently delivered over the Bluetooth wireless link, whether it is stored uncompressed or compressed (MP3, AAC, WMA) format. Advanced Audio Coding is a lossy compression and encoding scheme for digital audio. AAC generally achieves better sound quality than MP3 at similar bit rates, and is the format of choice not only for iTunes ®, iPhone, iPad, and iPod, but is also used by many other devices and sources. 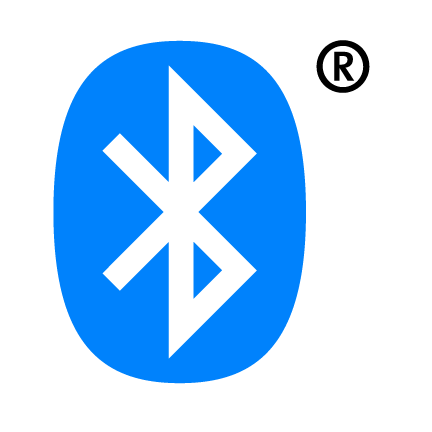 Advanced Audio Distribution Profile allows distribution of audio content in mono and stereo to be streamed from one device to another over a Bluetooth connection. iTunes ® and iPhone, iPad, and iPod are registered trademarks of Apple Inc.
Use of the trademark, does not imply sponsorship, affiliation, or endorsement by Apple Inc.
aptX® is a trademark owned by CSR plc. 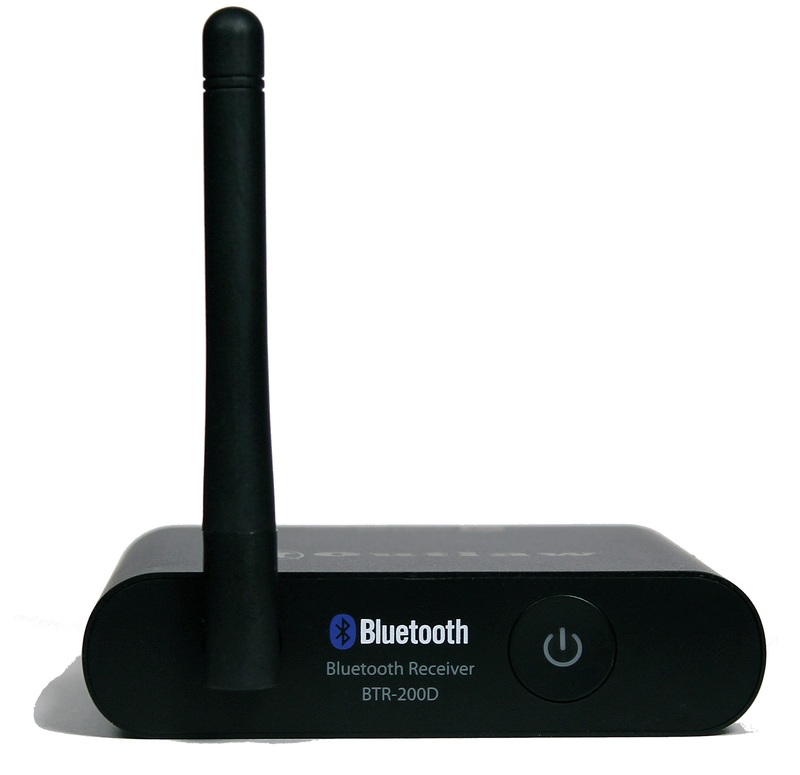 Order a BTR-200D Bluetooth Receiver with aptX, SBC, and AAC (when purchased with a Model 975, Model 976 or Model 2160).